A strong majority of the Indonesian population adheres to Islam. In fact, Indonesia has the largest number of Muslim believers in the world. However, remnants found on many islands prove the existence of ancient Hindu and Buddhist civilisations. The artistic and cultural heritage left by those two periods is innumerable. Glimpse on major cultural influences. 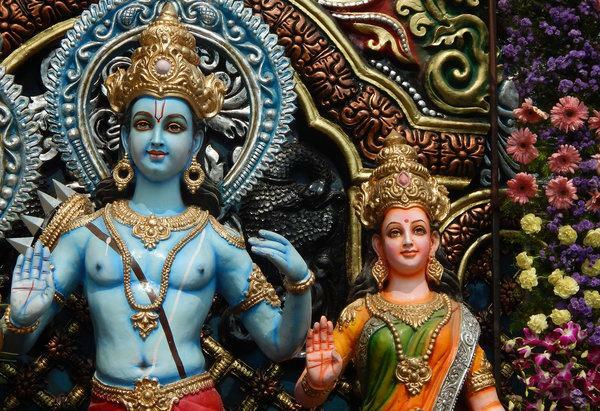 In order to have a global understanding of Indonesian arts, one must refer to two sacred texts of Hindu religion and mythology: the Ramayana and Mahabharata. The Ramayana dates back thousands of years and is attributed to the Hindu sage Valmiki. It consists of 7 volumes relating the adventures of a legendary prince, Rama and his love story with Sita. As the seventh avatar of the god Vishnu, Rama has to face many obstacles during his life. The Mahabharata, not as old as the Ramayana, is described as the longest poem ever written. It features the five Pandava brothers forced to fight against their cousins the Kaurava in the great Bharata war. Those two Sanskrit epic poems became extremely popular throughout Southeast Asia due to a long period of Indian cultural expansion on neighboring countries. Their impact is comparable to Homer’s Iliad or Odyssey, or to the Koran and Bible stories. Centuries of trading relations with China and India contributed to the spread of Hinduism and Buddhism throughout the Indonesian archipelago. There is even a verse of Ramayana that mentions the islands of Sumatra and Java. 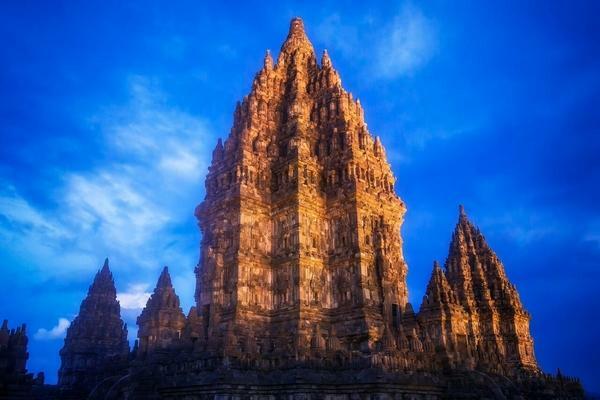 Remains of the glorious Javanese Hindu kingdoms are numerous and the Prambanan temple is one of the most impressive. Appreciated for their moral content, the Indian epics have long been preserved and they’ve helped keep traditional values alive. Even in today’s modern and predominantly Muslim Indonesia, rituals to the ancestors and spirits are practiced by a large part of the population. The Ramayana and Mahabharata epics have inspired diverse chants, poems and traditional dances throughout Southeast Asian nations, each one coming out with its own adaptation. In Indonesia, the traditional theater especially the famous wayang is among the main bearers of those past Indian cultural imprints. Indonesian performing arts reached their culmination in the Royal courts of Java and Bali. Formerly, history and legends were passed down through dance, theater and music performances. Nowadays, during a traditional show, one still easily gets carried away into a fantastic world of Hindu heroes, princes and princesses, gods and demons.